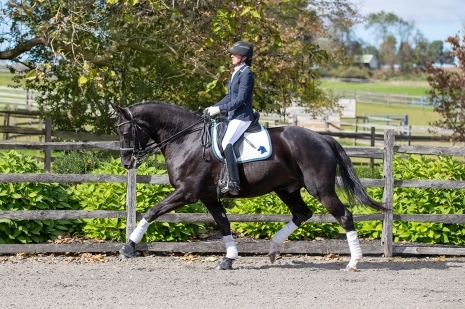 Schatzy is a recently imported, long legged and elegant FEI schoolmaster. He is uncomplicated in the exercises, and super safe and sound. Schatzy is forgiving enough for a rider that is learning, and yet talented enough for a competitive rider. Thus, he is well suited for an amateur, a JR/YR looking to make a team, or a professional looking to make their mark. Schatzy is very sweet to handle and has no vices. Recent x-rays available.